Resting place as the word suggests it’s a place where you can rest when you need to rest. It could be your home, a couch, a nearby park or anything and anywhere you may find peace of mind, privacy. Some often misinterpret a resting place as a hiding place, but it’s not true, for a hiding place is where you hide from what you fear can be a resting place but a resting place can always not be a hiding place. Some of you might think what am I talking about. Well, when we read Psalms 91:1,2 “Whoever dwells in the shelter of the Most High will rest in the shadow of the Almighty. I will say of the Lord, “He is my refuge and my fortress, my God, in whom I trust.” (‭Psalm‬ ‭91‬:‭1-2‬ NIV)” we see hiding place. Where as in Mathew 11 we see the resting place. “Come to me, all you who are weary and burdened, and I will give you rest.” (‭Matthew‬ ‭11‬:‭28‬ NIV). In throughout the scripture we find God as our ultimate hiding place and resting place. But today I want to speak about us being a resting place for God! Now tell me how careful should we (those who accepted Jesus as Lord and Saviour by believing in heart and proclaiming by word and born again) be in our daily life in our words, thoughts, actions, deeds, emotions and everything else? As how extreme care you give for the dove to remain on you, the same extreme care you need to give for Holy Spirit to remain on you! What are the things that hurt Holy Spirit? One is not listening to the voice of Holy Spirit that speaks to you and also talking against Holy Spirit and the other one is restricting the movement of Holy Spirit. It’s like the handrails of a narrow bridge. One says always listen and obey while the other say do not restrict the work. If you lose either of it, you will fall down. The spirit of God is not only given for your own benefit to walk in truth and stay away from sin, but also it’s been poured upon you for God to do His work upon others through us. This is why Jesus said to his 12 disciples as He send them to the neighboring villages in Mathew 10- Freely you have received; freely give. Since you didn’t pay anything for the Holy Spirit to come in you same way give out to others for their deliverance in life to get healed from sickness, to raise dead, to cleanse any skin disease and drive out demons! 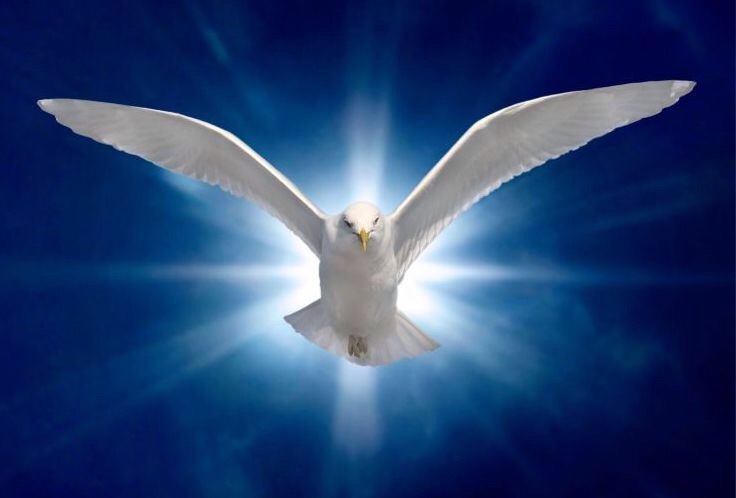 Now many ask why Holy Spirit is compared to Dove, why not any other bird. Dove is a very sensitive bird. It will not sit in an unclean place and in any sign of discomfort it will fly away. Same way is the Holy Spirit. 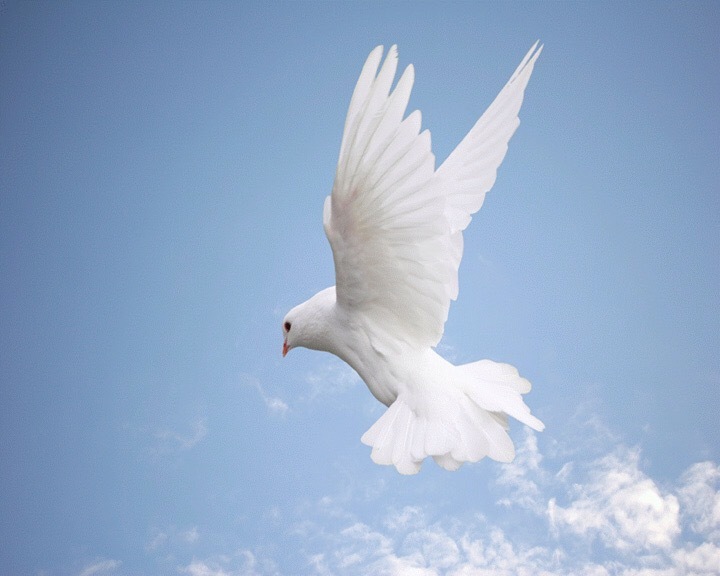 Holy Spirit is extremely sensitive that Holy Spirit rests only in clean place and even at the simple sign of uncleanliness He will fly away like the dove. Hence we need to be more careful. When we look in the Book of Genesis, God commanded Noah to build an ark for he was to destroy the earth with rain. Noah obeyed and there was a great rain for 40 days. After the rain, Noah didn’t know whether the water subsided or not. Hence he send a Raven out, but the raven kept coming and going and Noah didn’t understand well. 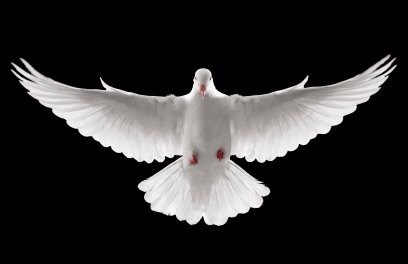 So he send a Dove out. But the Dove didn’t find a place to land and it returned to the ark. Noah reached out his arms and got the dove back in the ark. After seven days he let the dove again and in the evening the dove came back with a freshly plucked Olive leave! Hence Noah knew the water started to subside. After seven days he let the dove out and it no longer returned to the ark. Now What is the symbol of peace? It’s a Dove with olive leaves in its beak! 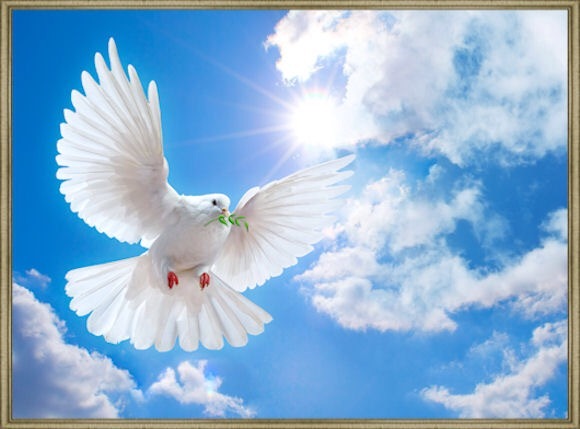 Well, where the Holy Spirit dwells, there is true peace and where there is no peace the spirit of God won’t stay there! This is why in the Gospel of Mathew chapter 10, Jesus told the twelve disciples to greet peace on the house they plan to stay for if its a worthy place the peace will stay upon the house else it will return to them! In the Old Testament God lived in the sanctuary in the midst of His people. ““Then have them make a sanctuary for me, and I will dwell among them. (‭Exodus‬ ‭25‬:‭8‬ NIV).” But in this New Testament era we are the body of Christ and God likes to dwell in us. Are we sacred enough for God to dwell in us by hearing God’s words and obeying Him or are we defiled with the sins of this world and destroying ourselves? Let’s wake up, let’s repent our sins and come back to the presence of Gracious Heavenly Father who loved us so much that He gave His one and only begotten son Jesus that whosoever believe in him shall not perish but have everlasting life and bought us from the depths of sins to holy of holiness, by the blood of Jesus who been given to us through the crucifixion of Jesus Christ. Let’s no longer turn away from God and grieve the Holy Spirit. Let’s consecrate ourselves by accepting Jesus as the Lord and Saviour of our life and living a Holy Life making ourselves a ‘Resting Place’ for the spirit of God to dwell in us and to be submissive to the Holy Spirit to guide us in all truth and to be used for the actions of Holy Spirit through us for the benefit of others for the glory of the Kingdom of God!